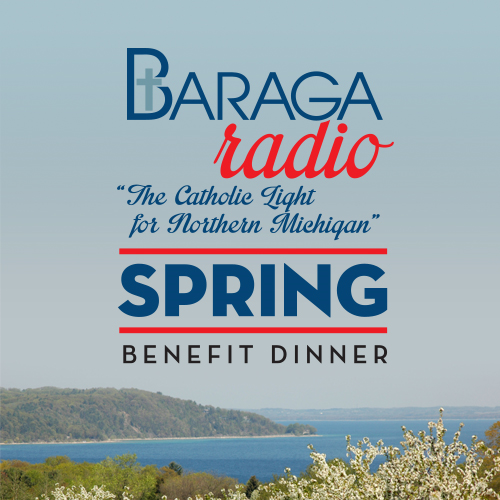 MyNorthTickets | Baraga Radio 2019 Spring Benefit Dinner, Featuring: Father John Riccardo! Help Support Baraga Radio's Mission by Joining Us for this Exciting Event! Catholic Radio's Mission is to "Recover the Lost". Lives are Changed Daily Because Catholic Radio Brings People Closer to Jesus Christ. Help Sustain Baraga Radio as the Voice of God's Truth Through Your Attendance and Participation! Northern Michigan's Catholic Radio Event of the Year! Enjoy: Social Hour, Dinner, and Special After-Party Buffet - All Inclusive! Plan: Come for the Social, Enjoy the Dinner Program, Stay for the "After-Party!" Listen: Father John Riccardo, Pastor of Our Lady of Good Counsel Church, Plymouth, MI; Host of Christ Is The Answer heard on Baraga Radio, Ave Maria, and EWTN Catholic Radio Networks; and Best Selling Author of Heaven Starts Now ! 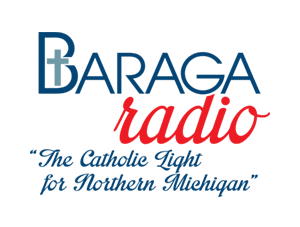 Participate: Support Baraga Radio's Mission Ministry to Northern Michigan! Come, Celebrate Baraga Radio's Mission to Evangelize and Promote the Truth and Light of Our Catholic Faith and Help "Recover the Lost". We Expect This Event To Sell Out! Don't Miss The Fun! Buy Your Tables or Tickets NOW! Special Note: The Grand Traverse Resort is Offering Overnight Room Packages at a Special Rate! GT Resort & Spa, 100 Grand Traverse Village Blvd.